The Perspective tool lets you deform a drawing to alter its perspective. For tasks related to this tool, see About the Perspective Modes and Using the Perspective Tool. 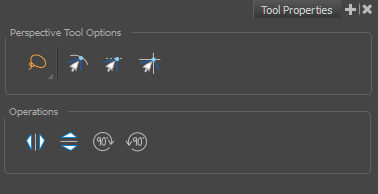 In the Tools toolbar, click the Perspective button. A mode for snapping objects to the grid.